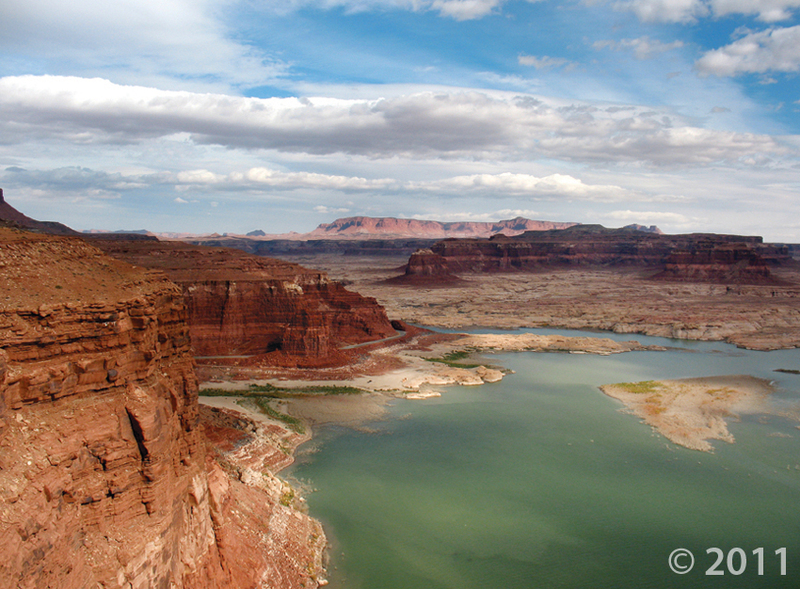 A spectacular look at Capitol Reef National Park. 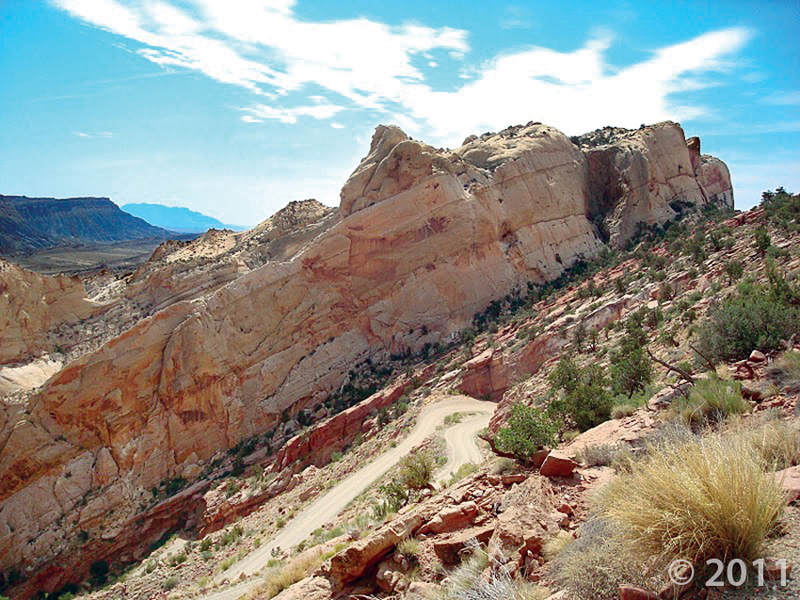 Burr Trail switchback in the Waterpocket Fold, Capitol Reef National Park, Garfield County. 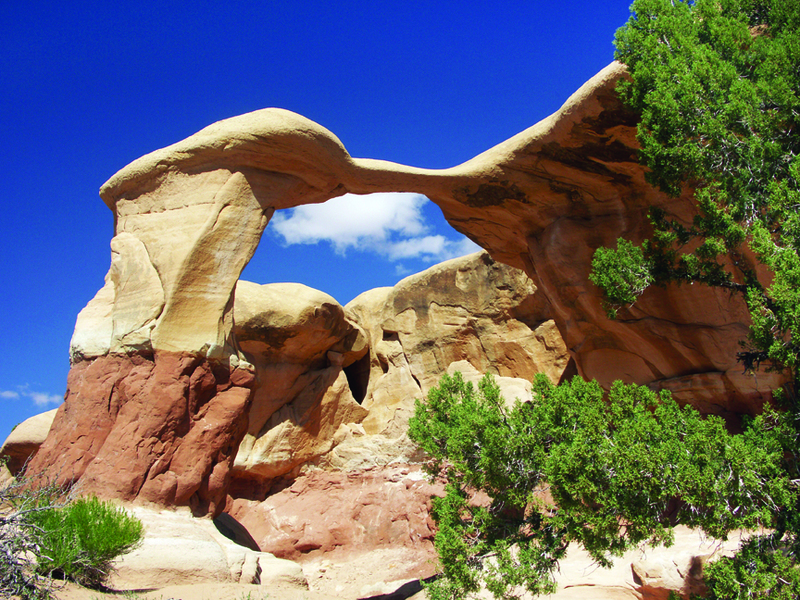 Metate Arch is sculpted by weathering and differential erosion of two sandstone layers along the contact of the Gunsight Butte and overlying Cannonville Members of the Jurassic-age Entrada Sandstone. 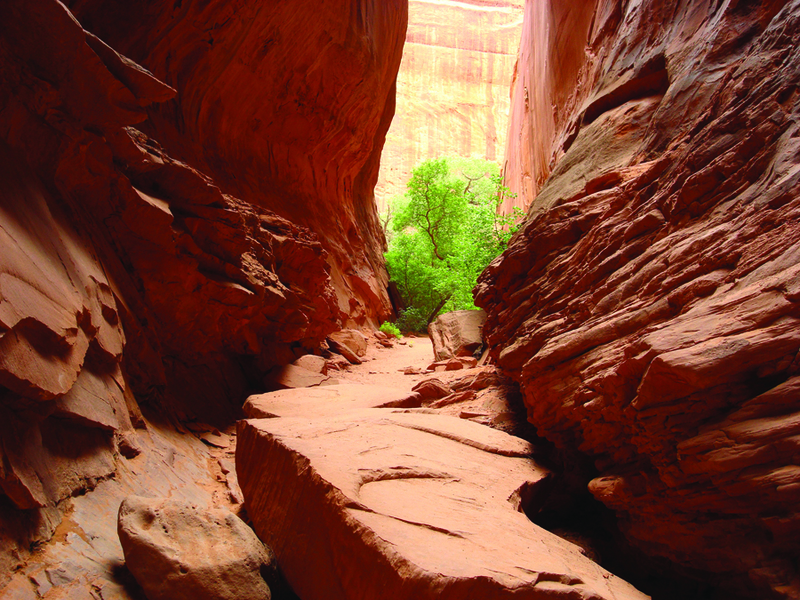 The arch is about 17 miles southeast of Escalante, just east of the Straight Cliffs. Cottonwood trees in a slot canyon, Rattle-snake Bench, Grand Staircase–Escalante National Monument, Garfield County. Water plunges over a dolomite ledge within the otherwise easily erodible limestone of the Eocene-age Claron Formation in Water Canyon. 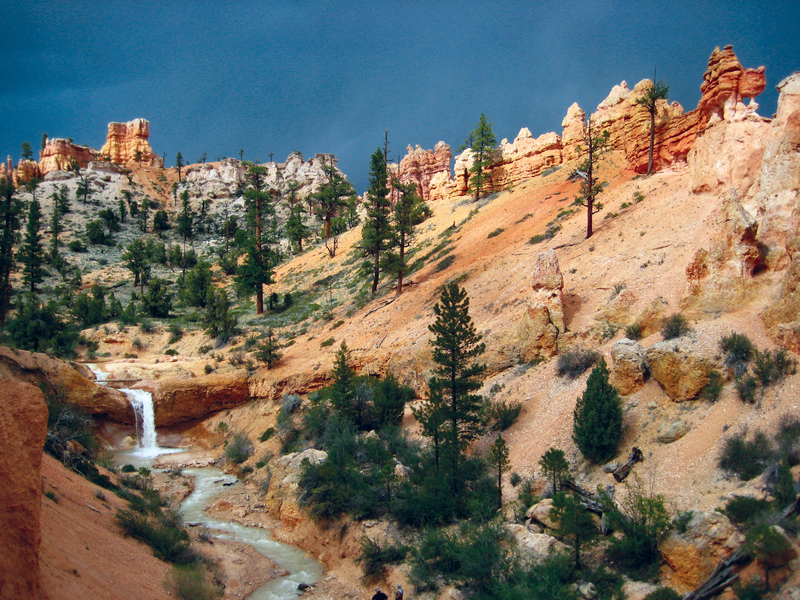 A canal (the “Tropic Ditch”) diverts water from the East Fork of the Sevier River seven miles across the Paunsaugunt Plateau divide to the head of Water Canyon, creating a steady flow during the summer and fall that is vital to the nearby towns of Tropic and Cannonville. This photo was submitted to us by Dennis Udink. You can see the Henry Mountains viewed through Summerville Formation hills near the Little Wild Horse road (Goblin Valley area in Emery county). 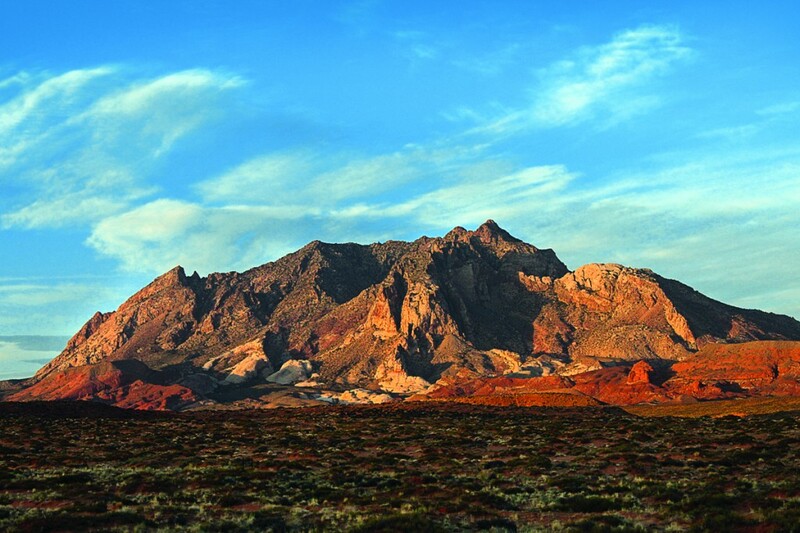 The Henry Mountains were formed around 31 to 25 million years ago when partially molten rock, from the Earth’s interior, forced its way into overlying sedimentary rocks forming huge domes called laccoliths. Subsequent erosion has exposed the igneous rocks which make up the high peaks of the mountains. 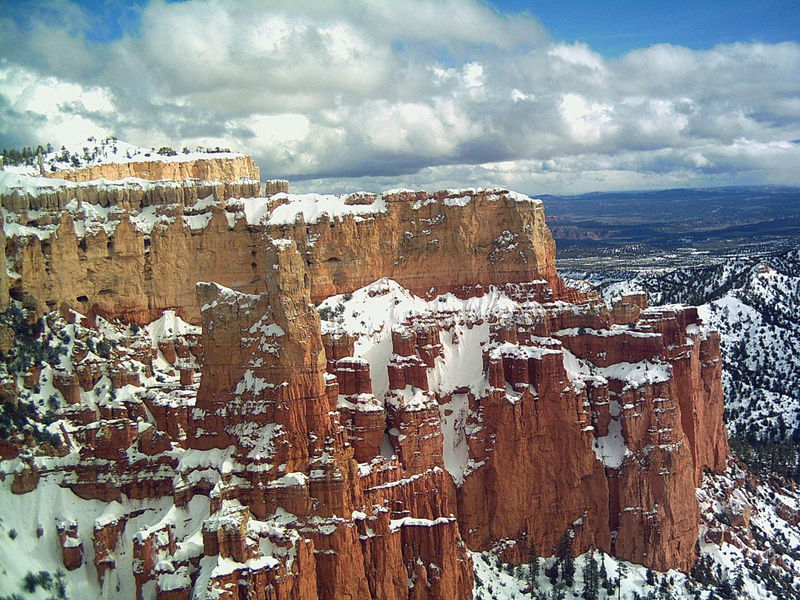 Mt Ellen is one of Utah’s highest peaks (outside the Uinta Mountains) at 11,522ft. 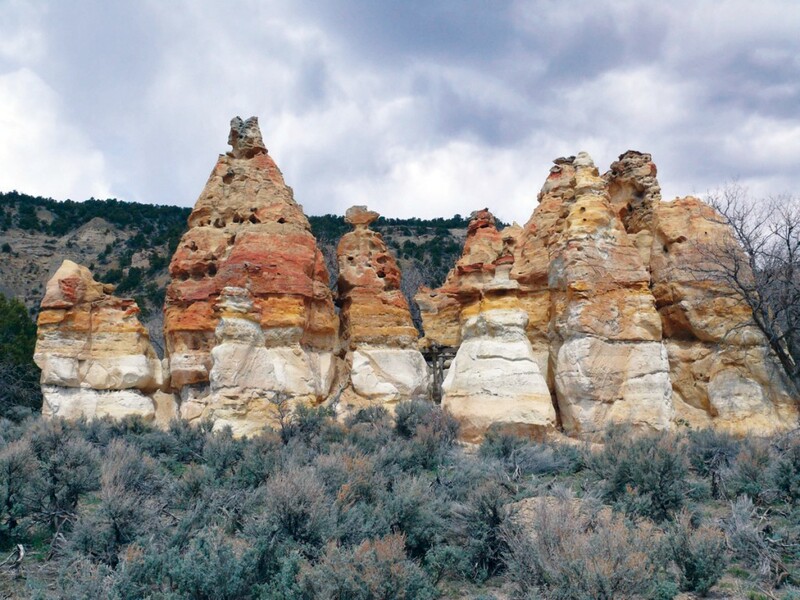 The domed and arched sedimentary rocks form the flanks of the range. One of the more notable inhabitants of the range are the Henry Mountains Bison Herd, which wildlife scientists believe to be only one of four free-roaming, genetically pure bison herds in North America. Great photo Dennis! 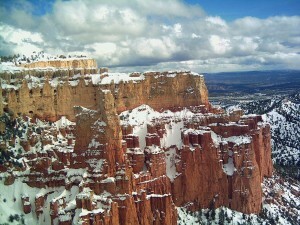 Remember, you can always submit photos to the Utah Geological Survey at ugssmedia@gmail.com, on Facebook, or on Twitter. 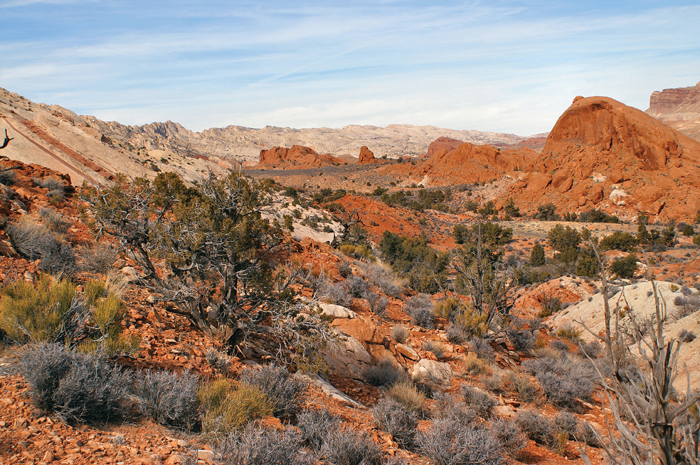 The Pink Cliffs (Eocene-age Claron Formation) form the uppermost step of southwestern Utah’s spectacular Grand Staircase.